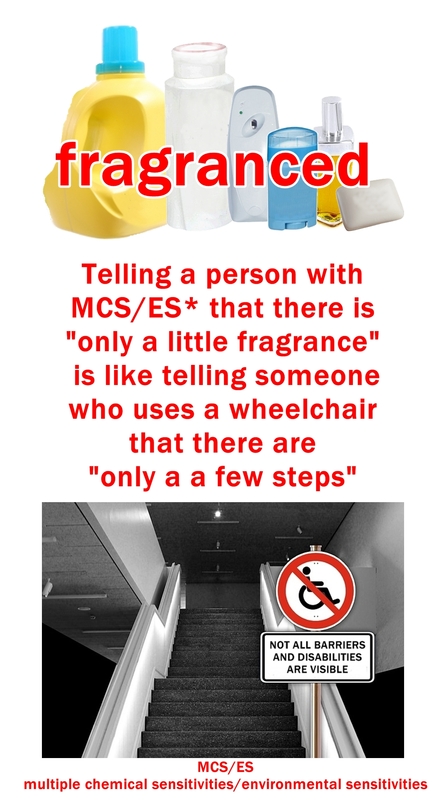 How many times have we heard it’s “only a little fragrance”? telling someone who uses a wheelchair that there are “only a few steps”. 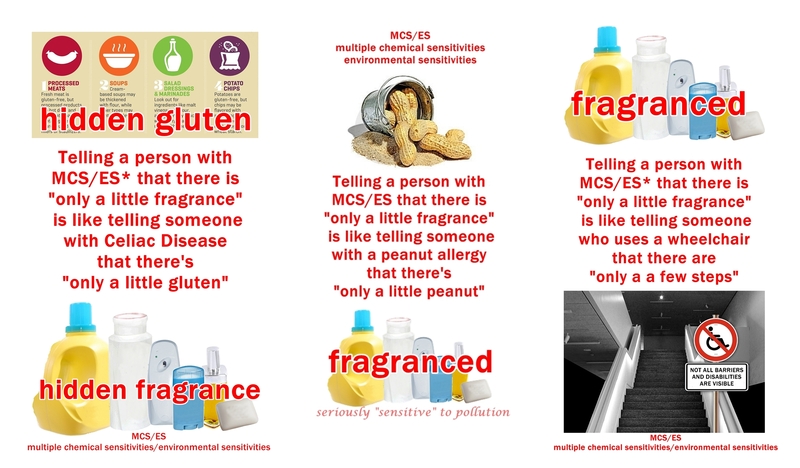 Fragrance chemicals harm everyone eventually. 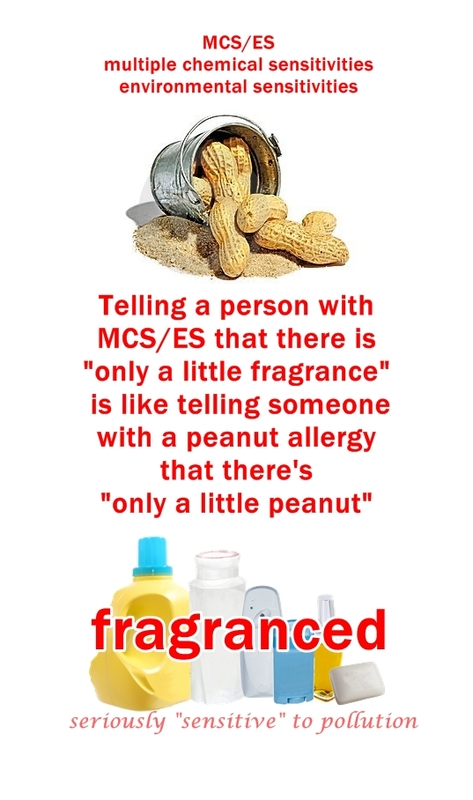 people with MCS/ES just feel it first. Are Essential Oils Too Popular For Our Own Good? This entry was posted in Accessibility, Air Quality, Chemicals, Disability, Environmental Health, Fragrance, Images, MCS/ES and tagged access, accommodation, allergies, asthma, barriers, barriers to access, celiac, environmental sensitivities, essential oils, Food, gluten, health, MCS, multiple chemical sensitivities, peanuts, sensitivities, wheelchair. Bookmark the permalink. It’s only a little fragrance, is like saying it’s only a little mercury vapour that your silver fillings (mercuy implants) release! So which is the worst of the evils??? 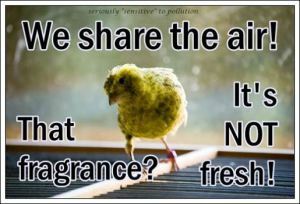 When we detox we are actually contaminating the exterior environment constantly : ( Not a nice thought! What a dillema! much worse than EO’s!!! I suppose it helps not to intoxicate others with our ‘toxic mercury off gases’ but it’s actually causing ourselves more toxic injury. Should we be banned too? Sorry but this is a very real truth too! Whoever thought that having mercury in our teeth was a good idea wasn’t thinking very clearly – likely had inhaled too many mercury vapours. 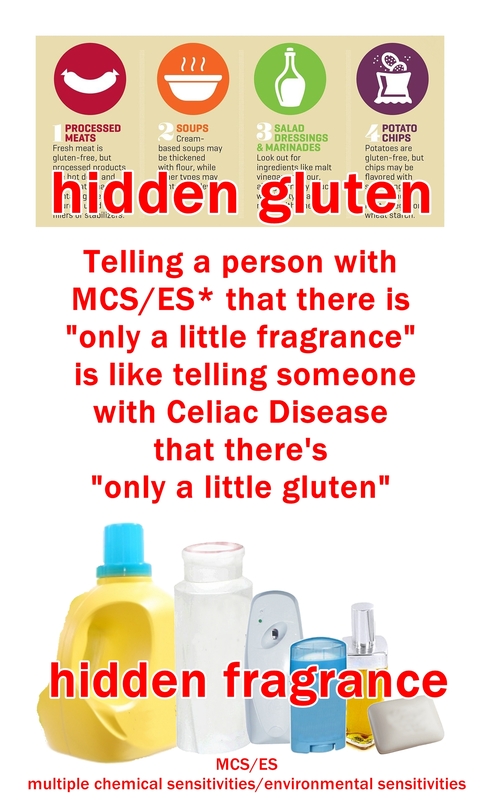 It definitely does for some people, others have different initial toxic exposures that push us over the edge, but we are stewing in so many exposures these days, that we have to do something to eliminate as many as is possible and as quickly as is possible with major policy changes required.